Drinking warm water is not really a very commonplace thing to do. Even so, there actually are a lot of benefits from having a glass of warm water. Helps the digestive system. 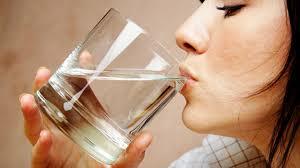 Drinking warm water can actually stimulate our digestive system. This aids in digestion overall as it makes it easier for the stomach to take in the food we eat while also absorbing the nutrients from them. This is done because warm water stimulates the blood vessels in our stomach, helping it with digestion. Can improve circulation. 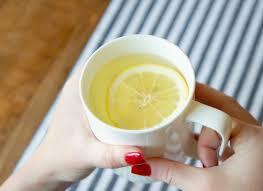 Drinking warm water also improves blood flow. This then helps our blood vessels expand, making it easier for the blood to travel through our veins and arteries. This also makes it easier to flush out excess toxins that are still present in our body. Calms the nervous system. Warm water can have a magical effect on the nervous system. Drinking warm water can actually calm your nerves, literally and metaphorically speaking. This basically has a lot to do with the improved circulation, as stated earlier. Provides better rehydration in hot climates. Because of the hot weather in Singapore, you may prefer drinking cold water because you think it’s refreshing. But, this actually does you more harm than good when it comes to the body’s energy. When the climate is hot, obviously your body temperature also increases. If you drink cold water, the body takes more energy to convert it to a temperature that the body can take. Is said to ease pain. It is said that warm water is a great remedy to alleviate headaches, muscles spasms and even pain from menstrual cramps. A lot of this has to do with its calming effects and its ability to soothe our nerves as mentioned earlier. May help in weight loss. Drinking warm water can aid in the process of losing weight. 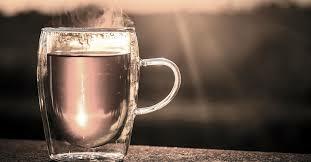 Having a glass of warm water in the morning can increase your body’s temperature. This means that your metabolic rate also increases, allowing you to burn more calories throughout the day. Promotes better sleep. Again, because of its calming and soothing effects on the body, warm water enables us to have better and deeper sleep. While it helps you fall asleep faster, it also makes you feel full, meaning you won’t have to wake up in the middle of the night looking to get food in your stomach. A remedy for nasal congestion. Warm water is actually recognized by many as an effective home remedy for nasal congestion. This is because the high temperature softens the mucus, speeding up its travel outside of the body. Warm water is also a good remedy for coughs and sore throat because again, it helps clear the phlegm from our respiratory tract.